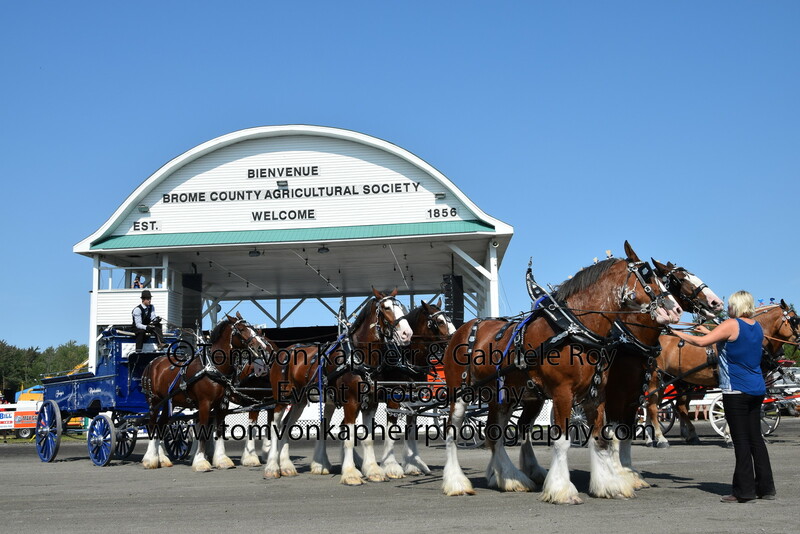 The 6 horse hitch is the jewel of the Brome Fair. Drivers must perform a variety of maneuvers guiding approximately 12,000 pounds of animals around a crowded arena. I felt the earthquake beneath my feet as I was capturing all of this and at the same time trying not to get run over. It was an experience I will never forget. Oh yes – if I wasn’t scared of my own shadow (really – it’s a Tortie thing)- I’d be stalking on over there to see those beauties! 🙀 What the flea do they FEED those things?!! 🙀 Hmm….I wouldn’t mind a truckload of tuna! !